This is the second part of a long reflection on my trip to Iceland in April 2017. If you’d like, you can read part one here, where I think about how Iceland ended up with so many tourists, and show you what I discovered in the quite happening town of Reykjavik. 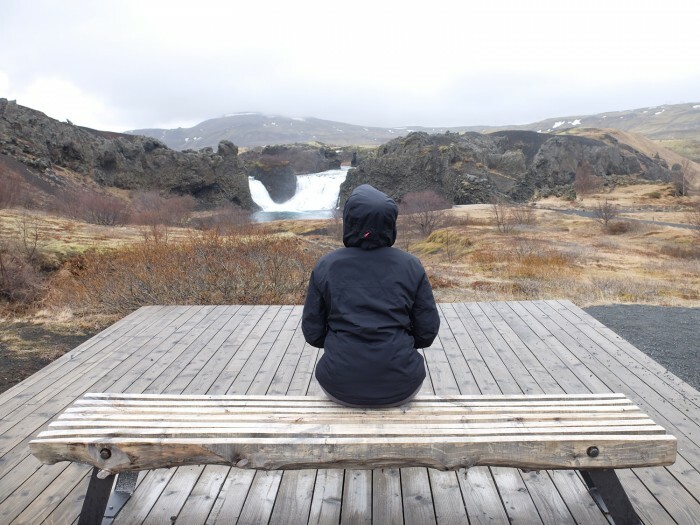 This is the part where we get out of the city to see what Iceland is really famous for: lots and lots of waterfalls, amazing and unusual natural phenomena, and vast stretches of nothingness. With one week by car in the shoulder season, we stuck to South Iceland and also visited the Highlands, getting slightly off the main tourist drag but sticking to an area with roads that would be passable at this time of the year. We made a little three minute video of our trip – neither Tommaso or I are videographers so it’s very amateurish – but it is a perfect summary of what you will read below. 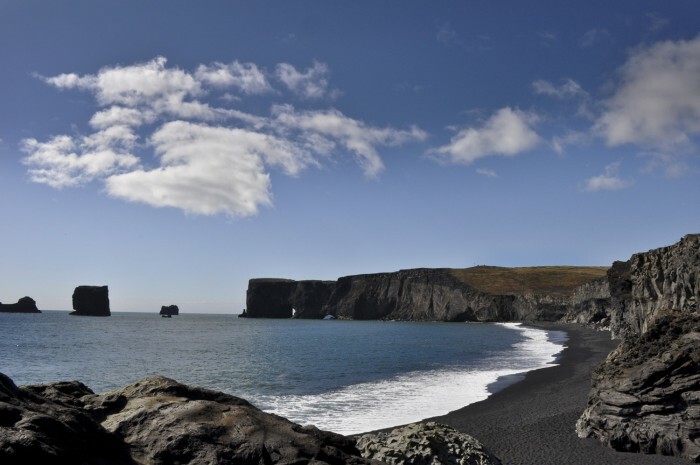 South Iceland: waterfalls, northern lights and puffins! 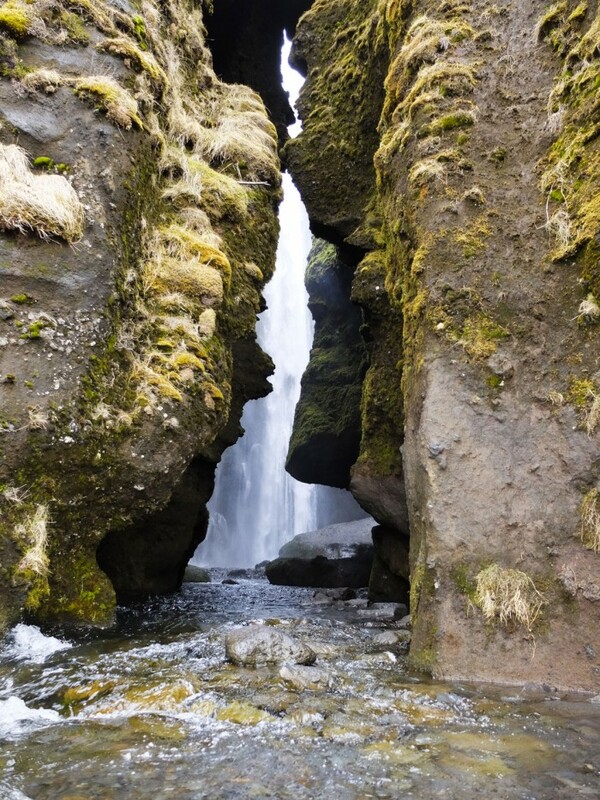 The different regions of Iceland each have their own characteristics. 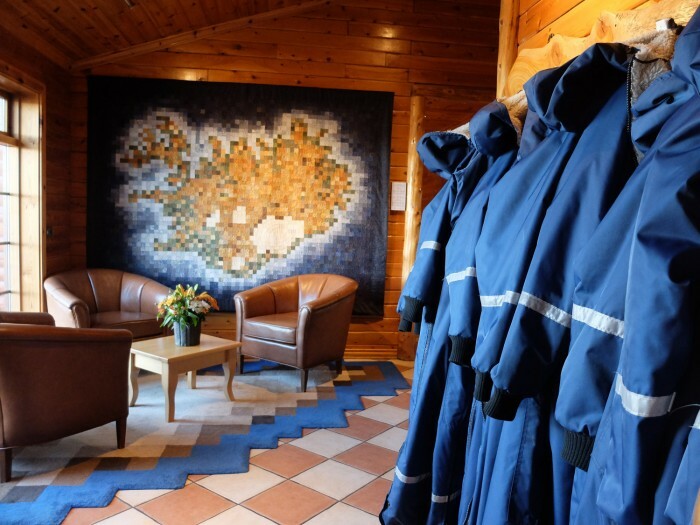 South Iceland may have the greatest concentration of highlights, as well as a greater possibility that roads will be open in winter, making it a favourite of tour companies, who market bus tours on this route. 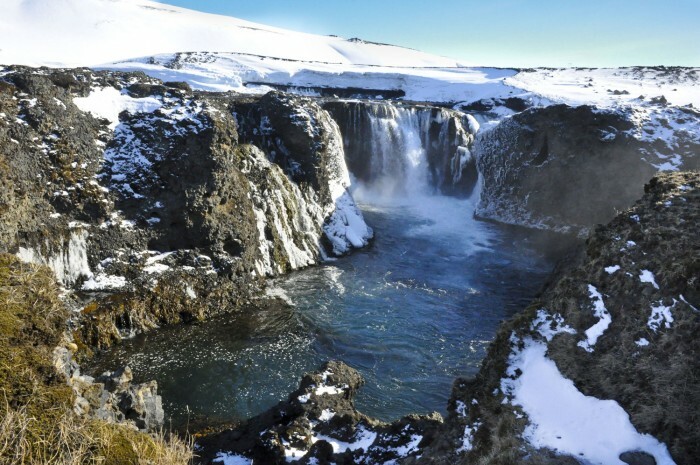 A “golden circle” of tourism runs south-east of Reykjavik to Selfoss, and north-east to Geysir and Gullfoss. Our plan was to avoid stopping within this range but to head south nonetheless. Our first stop less than an hour outside Reykjavik was an uncrowded educational one, this time selected by my engineer husband: the Hellisheidi Power Station. 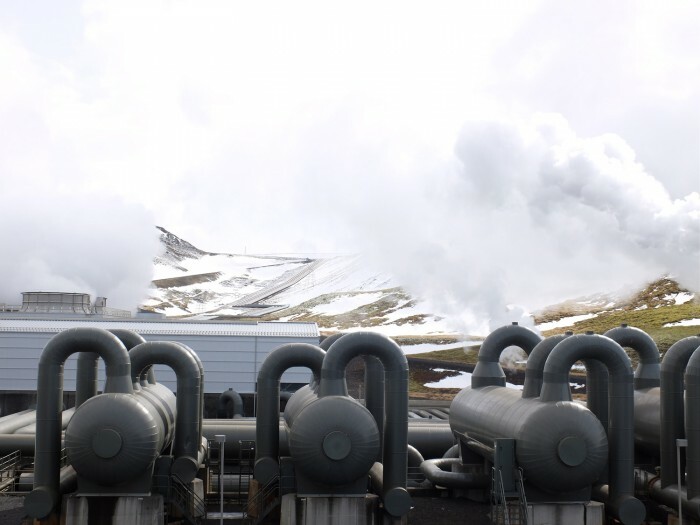 Since expansion of the system during the 1970s oil crisis, geothermal energy powers over 85% of houses in Iceland and accounts for 25% of the country’s total energy output, according to the National Energy Authority. 99% of the energy produced here is renewable, harnessing the power of water and wind as well. This recently built geothermal plant integrates a well-developed museum that explains how it all works, though my lack of scientific background makes it best that I don’t attempt a summary. One thing I learned is that plants like this pipe hot water used to heat homes and as bathwater, making both cheap and abundant, factors we very much enjoyed when we got to the next hotel. Home base for the first two nights outside of “the big city” was Hotel Rangà, a four-star resort associated with the Small Luxury Hotels of the World and one of the only options of this level in the south. Arriving there was the oddest thing: the building looks like a Muskoka log cabin. Muskoka is an area of Ontario cottage country north of Toronto, and I was rather shocked to find it in the middle of Iceland. When we met the charismatic owner Friðrik, he said “bet you feel at home here” and explained that all building materials in the country have to be imported (Iceland isn’t famous for its woods, though they do exist), and he found the best deal in Canada! Although most of the furniture and the building materials are Canadian, Friðrik and his right-hand-man Ingi are huge promoters of local art and culture. 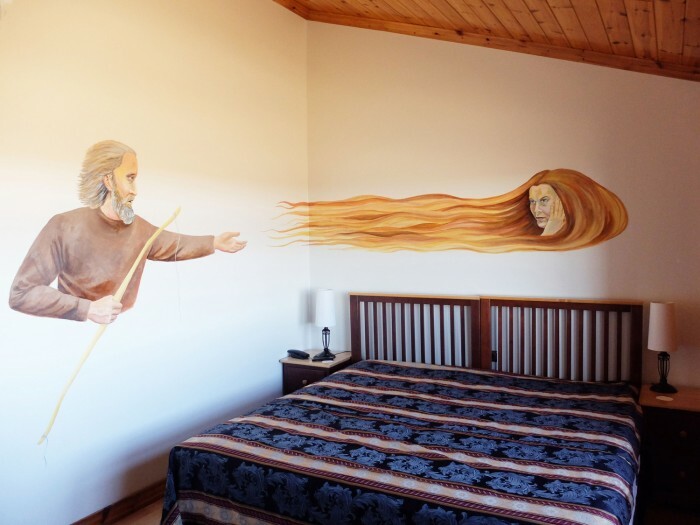 They’ve hired Derek Mundell, a UK transplant to Iceland since 1976, as coordinating artist in order to attract local artists to paint original works on the bedroom walls. Many represent scenes from the Njáls Saga, a 13th-century saga describing even earlier happenings in this very area, and that I happened to be reading during my visit (it’s tough going, not recommended). My favourite painting at Rangà, by Guðrùn Sigurðardottir, represents a scene from the story of Gunnar and Hallgerður, a very beautiful and nasty woman who tended to kill her husbands. The hotel’s suites are creative representations of the continents (though as they build more suites, they’ve run out of continents and are changing themes); I quite liked the Asian one, but would prefer not to stay in the Antarctic one which is kept at a lower temperature just for fun. Rangà is known for its on-site observatory and northern lights viewing sessions, so it’s good to stay two or more nights to increase your chances of seeing an active night sky. We were there in the shoulder season at the end of April. It was the last two nights during which it would be possible to see the lights before the days got too long, and viewing is weather dependent: you need a clear night. 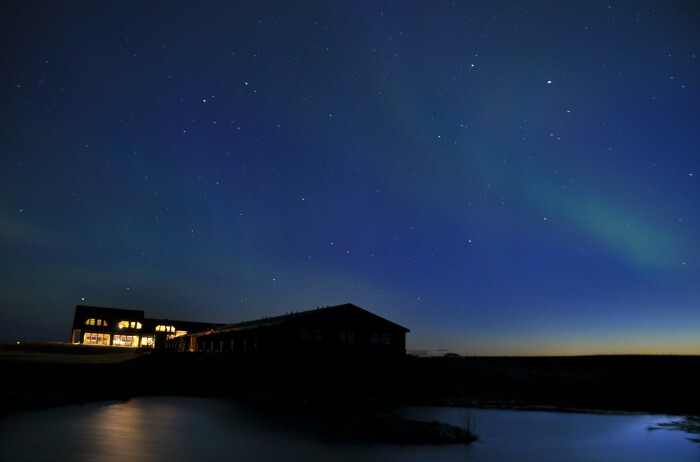 At reception you can sign up for a northern lights wake up call, and the desk manager will phone when activity is spotted. We laid out our warmest under and outer layers and I set up my Nikon and tripod on night settings before we went to bed. The first night nothing happened and we woke up to a dusting of snow all around. The second night, we got the call at 1am and rushed out, adding the provided fantastic snowmobiling suits on top of our already warm gear. I was snug and smug as I spent an hour trying to get a good picture. The lights weren’t super strong but it is truly amazing to behold. Also, my pictures record an interesting phenomenon – a bit of sunset light still remained in the sky at 1:30am! We were also really lucky to be in Iceland at a time when two seasonal things overlap. In the last two weeks of April, you might catch the end of the Lights and the beginning of puffin season. These adorable birds, which you may see on menus, poor things, flock to the island right at this time, and you’re likely to see lots of them in the summer. 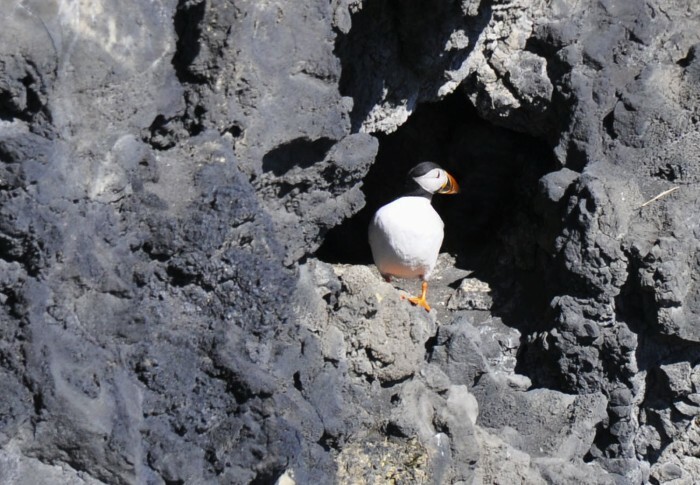 We had a bright sunny day to explore the famous black beach at Reynisfjara and neighbouring Dyrhólaey Arch and lo and behold, Tommaso’s 20/20 eyesight allowed him to see just one little puffin hiding in the rocks (and my 270mm zoom lens allowed me to see it and photograph it). I really enjoyed the view at Dyrhólaey and we spent a long time sitting on the rocks and looking out at the sea (the beach below is closed due to “dangerous creeper waves”, according to the sign, though a few people risked going down there). It’s a short drive from here to the black beach, where we were unfortunately joined by numerous bus tours, much to my surprise. I thought that this far south was beyond most tourists’ reach, but apparently not. Had we had more time, I would have really liked to continue driving along the coast a few more hours to Jökulsárlón, a glacier lagoon I’ve seen in photos, where we might have been quite alone. But there was much else to be seen along the way, so while distances were not technically long, I wanted to stop at every waterfall, horse, sheep or lava field, so that slowed things down. There are two waterfalls just a half hour away from Rangà that were one of the biggest highlights of our trip. You can see Seljaland waterfall from the road; it gets late afternoon sun, so that’s the best time to visit, when the mist and sun create rainbows! 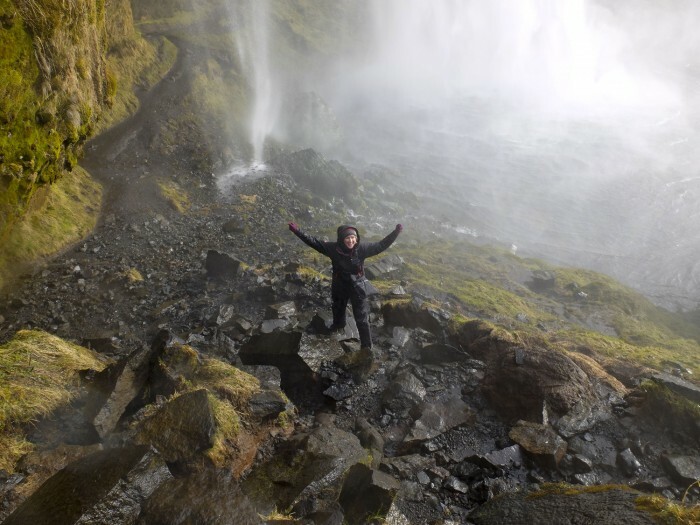 This waterfall is unusual because you can walk behind it, which we promptly did, having equipped ourselves with our Vespa-riding rain pants, waterproof snowboard jackets and goretex footwear. The only thing I didn’t count on was how wet my camera lenses would get, so my photos are terrible. But boy was that fun. From there, it’s a 500 meter walk along a path to another waterfall that most people don’t visit because to see the whole of Gljúfrabúi, you have to walk in a low stream and into a cave, where you get soaked. Standing in there with water hammering my face was the most amazing feeling I think I have ever had. Pure glee. After all this water, and quite a few hours on the road, it was wonderful to retire to the hotel’s gourmet restaurant. 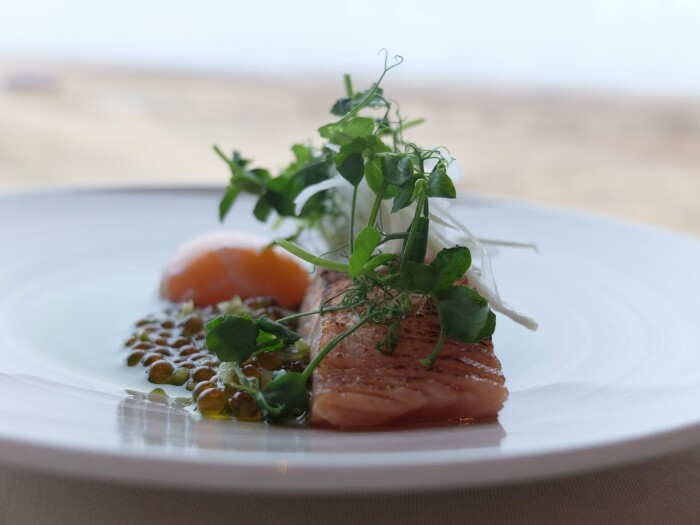 Icelandic cuisine has come a long way in recent years, alongside local producers’ efforts to grow more fresh vegetables. The river Rangà for which the hotel is named is famous for its salmon, which is served various ways in the restaurant (though meat-eaters could also order local specialties of puffin and reindeer). I particularly enjoyed the melt-in-your-mouth cured salmon appetizer served with salmon roe, a poached egg yolk, watercress and fennel. The breakfast here was also extremely noteworthy; there are waffle makers and home-made cookies to die for. But now it was time to leave the comforts of this Icelandic-Canadian isle for the wilder Highlands. 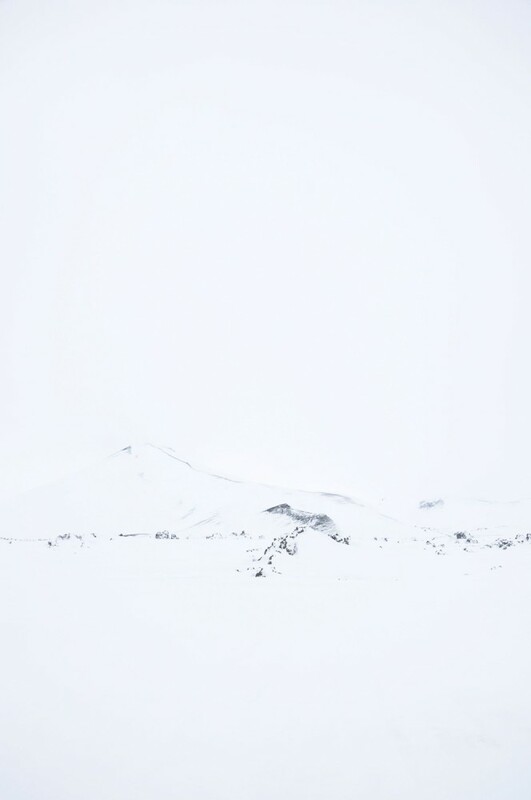 We’d heard that few tourists visit the Highlands of Iceland until the summertime, since the main attraction here, other than vast stretches of nothingness, is the Landmannalaugar national park. The center of this park is accessible only by “super jeep” at any time since there are various rivers to be forded, though in the summer there is a road in up to a certain point, best taken with a 4×4. The park is open for hiking officially from the end of June through August, and within the nature reserve the only accommodation is the tent you carry on your back and a few huts if you can snag a spot. Hikers in the summertime can take in amazing views of these mountains with fascinating colour variations, glacier lakes and more. The most popular hike here is a 4-day trail, and you’d be surprised at the number of people who walk it. But in the off-season, it’s a whole different story. The last bastion of civilization before Landmannalaugar is the Highland Center at Hrauneyjar, where we arrived mid-afternoon on a day in late April. Snow covered the absolutely barren landscape, and we were blessed with a crisp blue sky and -8 degree weather. We stepped in and saw a front desk with nobody at it, and a sign suggesting to find staff in the kitchen. So here I adventured, in my stocking feet (another sign said to leave shoes at the door), to find a young woman wielding a large knife to the rhythm of death metal. It turned out that we were the first guests of the season, and in fact the only guests that night, taken care of by two Polish women hardy enough to accept living out here. The next evening we were joined by two French guys, with whom we dined, for it would have been impolite not to, sharing a large room and a vast space between us. The Highland Center features a gas pump, the last one for a few hundred kilometers. Not that you could really drive that far, for further north the road is closed. Its cafeteria serves soup and hamburgers and sells souvenirs to passersby, but dinner guests can order the plate of the day, surprisingly good and extremely ample to satisfy hungry hikers. We were totally alone at Sigoldufoss in the Highlands! With a few hours’ light left in the day, we set off to see one of the only things you could visit here in the spring, a waterfall near a dam just a short way down the road. 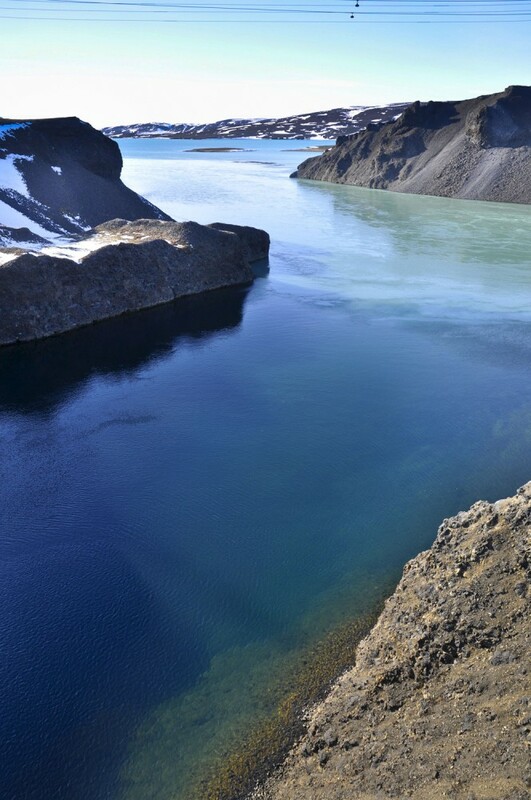 The paved road skirts a crazily turquoise basin called Hrauneujalon, and soon you arrive at Sigöldufoss. At this point in the trip we’d seen a lot of fosses (waterfalls), but this one was special because we were totally, completely, alone. I also liked this one because there was no parking lot, just a widening of the road, and a bit of a walk to reach it. After photographing the moment, we went for a walk around to the other side (it looked like there was a circle path, but in fact there was not). It became apparent how easy it could be to get lost here when we didn’t quite follow our own tracks back out. There is something very powerful about this feeling of being completely immersed in and subjected to a natural environment. This is what they mean by a Superjeep tour. More of this feeling would come the next day, though we were less scared of being found frozen to death, when we entered Landmannalaugar with an expert guide driving a super jeep. 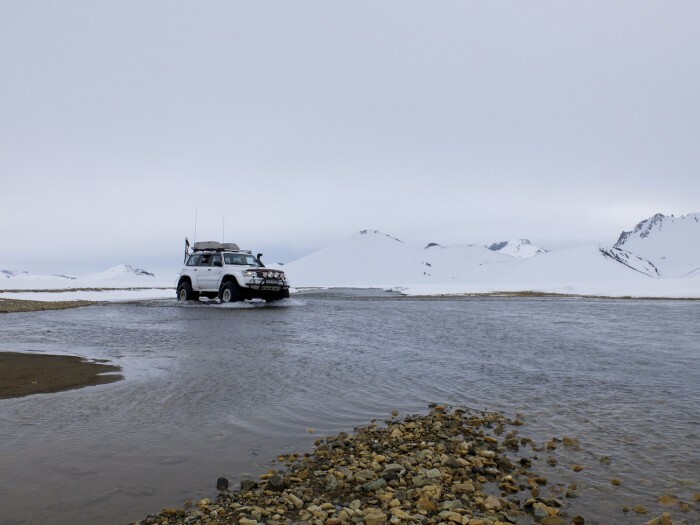 In winter and spring, it’s not always possible to drive into the park even with one of these vehicles because it can get socked in with fog, or the snow-covered ground can become unstable, so if this tour is your reason to visit the Highlands, make sure to leave two possible days to do it. When we got to a bar indicating the road closed ahead, Hilmar, our guide, couldn’t hide his joy as he drove around it, deflating his gigantic tires as we went. Then we were driving on untracked snow, in a direction only he knew, both from experience and because he was following GPS and radar devices. The sky was cloudier than the day before, so the white was so unadulterated, with just a few lines indicated by rocks. Hilmar indicated to us where some highlights were located, like the crater lake of Ljótipollur, which must be incredible in the summer, but being covered in snow, we could only take his word for it. 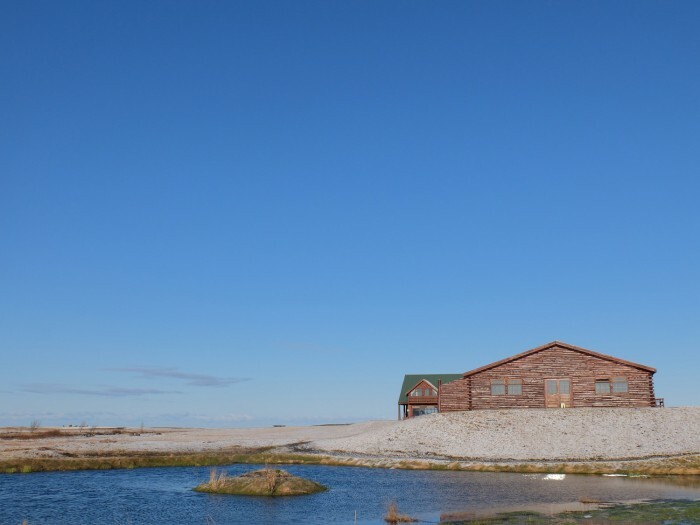 It took less than two hours to reach the park’s center point, a ranger’s cabin at the natural hot springs. Although I am not adventurous, I hadn’t come all this way not to jump in. The water temperature was 38 to 40 degrees Celsius, but the challenge was that you changed inside, and then had to walk about 100 meters through the snow before entering (and after exiting). 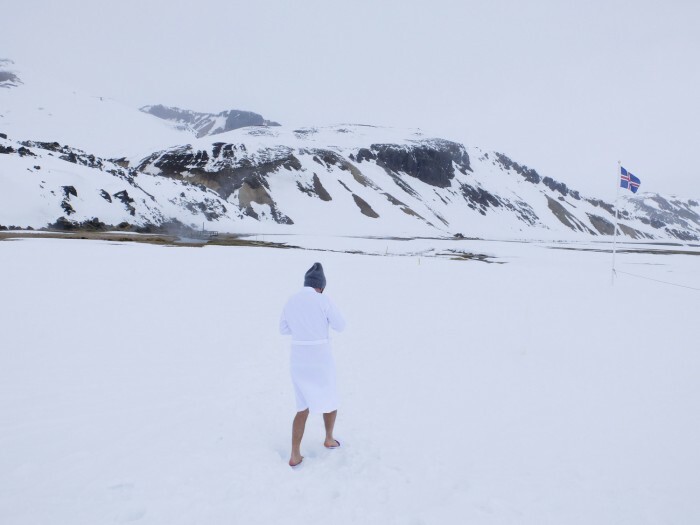 I followed Hilmar’s lead and put a fleece and pants on top of my suit, while Tommaso wore a bathrobe and attempted to walk through snow in spa slippers before having to go back for his hiking boots. A good time was had by all. Getting back out of Landmannalaugar proved more of an adventure. While conditions were good coming in, we found some less stable snow trying to go out a different route. This is where we truly appreciated our guide’s expertise, vision, and use of technology. At one point we were driving straight and all seemed fine to us when he stopped suddenly, looked ahead a bit and said “no thanks”. He backed up, circled around, and showed us what he’d avoided: although invisible from in front of us, here the ground literally dropped down about 12 feet. He said he just felt something odd about the snow. As we drove out, in silence and concentration, we noticed some odd shaped rocks and I asked Hilmar if it is true that a high percentage of Icelanders believe in trolls and elves: rocks are supposedly actually trolls frozen in time. Our guide told us about how it’s considered bad luck to cut down or move a tree, just as moving rocks may cause misfortune. Unwilling to deny the supernatural outright, he explained that he believes it’s a way of ingraining a respect for nature and that he intended to keep up the tradition. There are two main ways to access the Highlands. On the way there from Rangà, Inge suggested a dirt road in good condition that we could do in our 4×4. This road, number 26, took us about 2.5 hours. In parts, with an 80km/h limit, the unpaved path was in better condition than many superstrade in Italy; in others, especially towards the end, it had crazy turns, rocks and ripples that made it pretty bumpy. It was, however, really fun to drive. Lacking any waterfalls or particular sites to see, the road goes through farmlands and along various streams, with numerous photo ops. We literally crossed one other vehicle the whole time. 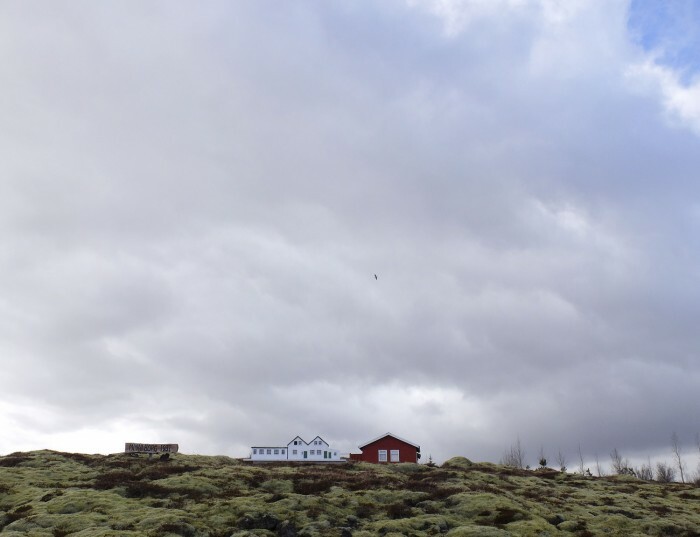 On the way back to Reykjavik, in worsening weather, we took road 32 and then connected to 35, which is part of the golden circle. Off 32 we stopped at another waterfall called Haifoss, which we had all to ourselves in the spitting rain. Further up on 35, we hit up Geysir, a must-see for all bus tours. 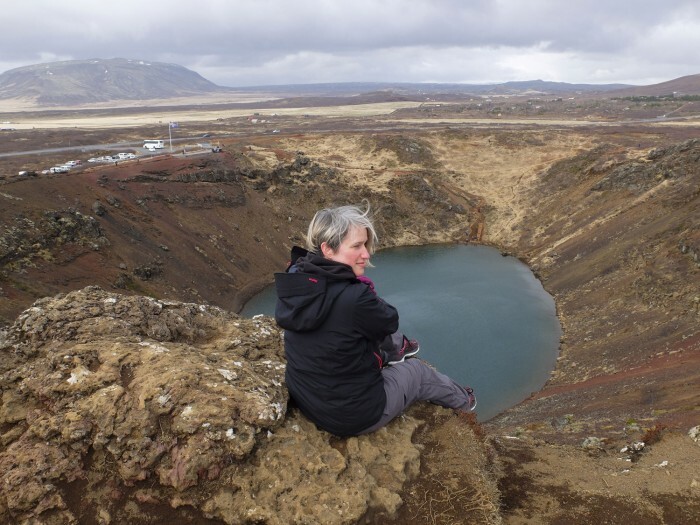 We particularly enjoyed the crater lake Kerið, which you can walk the whole way around and admire the beautiful colours of the volcanic earth, growing lichens and moss, and blue water. A highlight of the return trip was having lunch in the tomato greenhouse of Fridheimar Farm. 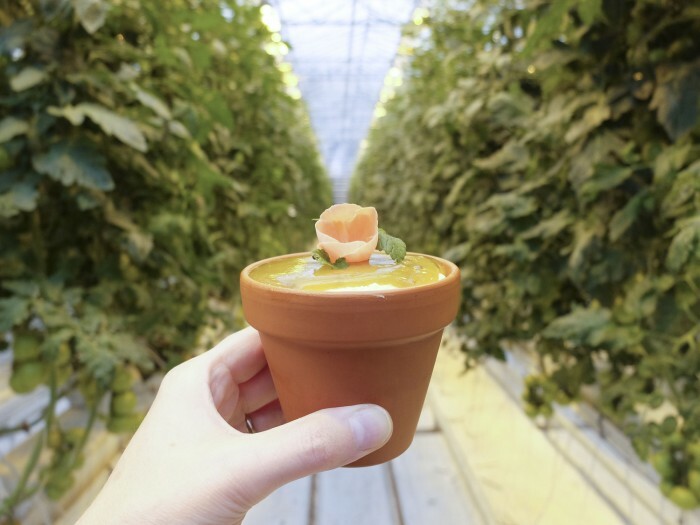 Bathed in warm yellow light and surrounded by happy tomato and basil plants pollinated by buzzing bees, you can have tomato soup or a few other dishes and learn about growing vegetables year-round in a cold climate. The potential for being touristy here was high, but they totally avoided it, and I had the best tomato cheesecake I’ve ever tasted (OK, I’ve never had such a thing before, but trust me, it was memorable). A truly delicious dessert with… tomatoes! At the end of a week, we’d driven just over 1000km and covered only a small portion of Iceland. I admit that I expected this holiday to involve more hiking, while my conclusion is that it was actually a road trip. Perhaps in the summer, or in the less-visited regions, there are more opportunities to go on day-long hikes. As is, the sites were all very accessible from the main road, except in the Highlands. 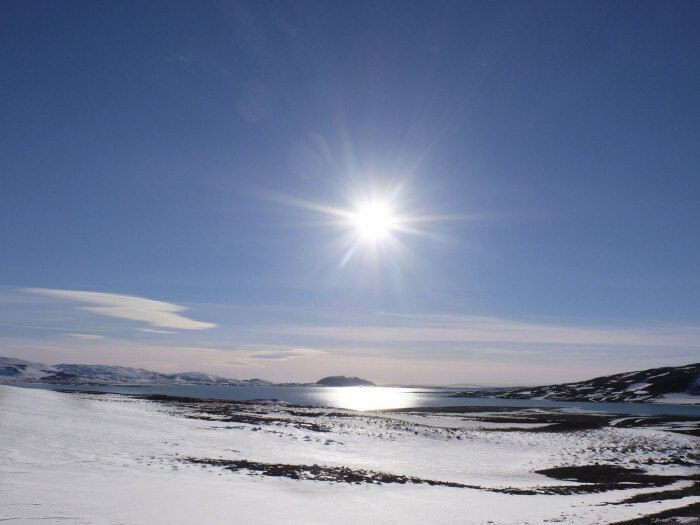 If I were to return, I’d want to see the Easternmost area – considered off the beaten track even to Icelanders – or the uninhabited Westfjords, surely harder to navigate. To me, Iceland is a once in a lifetime experience. It’s not cheap, but if it’s on your bucket list, do it now, and do it in style. It will certainly be unforgettable. DISCLAIMER: My stay in Iceland was partially sponsored by the following hotels: Tower Suites, Hotel Rangà, The Highland Center. With thanks as well to Europcar/Holdur and to Southcoast Adventure. All opinions are my own.